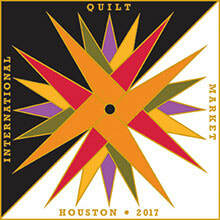 ​This fall I’ve been back to work on new designs for tea towels. I’ve been focusing on the seasons and designs with birds, flowers and bugs. So far I’ve got Summer Blooms, Fall Fest and Winter Charm printed and ready to go. Spring designs will follow in the next month or so. 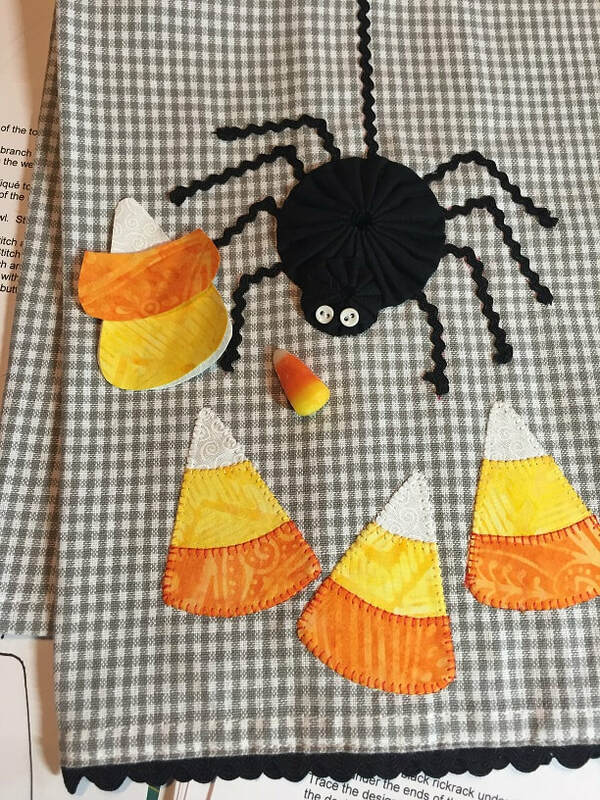 Sometimes as I’m working on the patterns I do wonder about where my head is… Just after we took the photos for the Fall Fest cover and the cover was being designed, I realized my spider on the candy corn towel only had six legs! Thank heaven for photoshop that saved him from being less than a spider should be….. But that particular towel continues to be a problem! 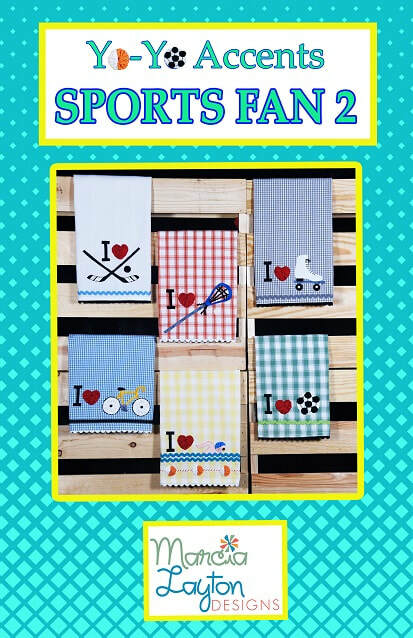 After the cover was finished and off to the printer, I got busy making more samples of the towels. It was then that I realized that I had mixed up the order of the colors of the candy corn on the original towel. This is while I’m sewing with a generous supply of the candy, one of my favorites, at my side! Oh, well, I’ll claim it’s creative license but you and I both know that yellow is on the bottom of a real piece of candy corn! 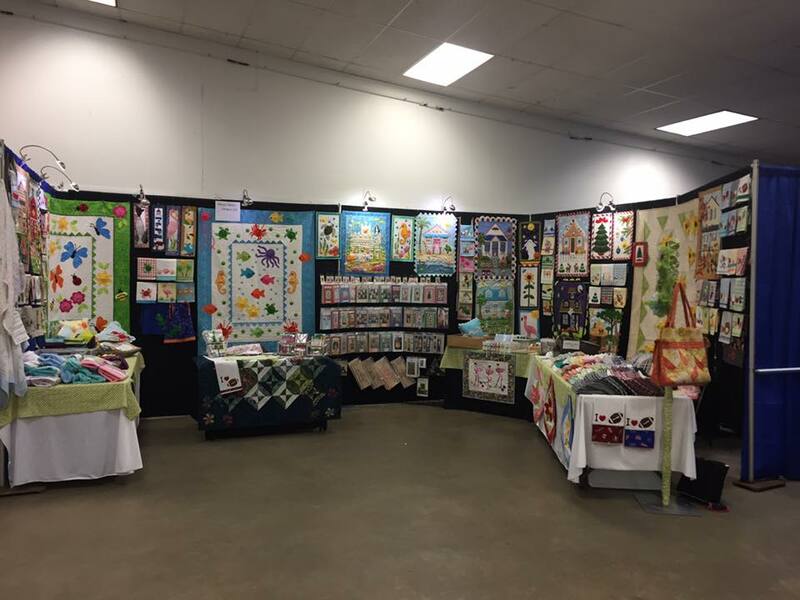 ​I’m on my way to Quilters Unlimited 45th Annual Quilt Show in Chantilly, VA which begins Friday, June 1 at the Dulles Expo Center. My sister Mary will be joining me for this show. 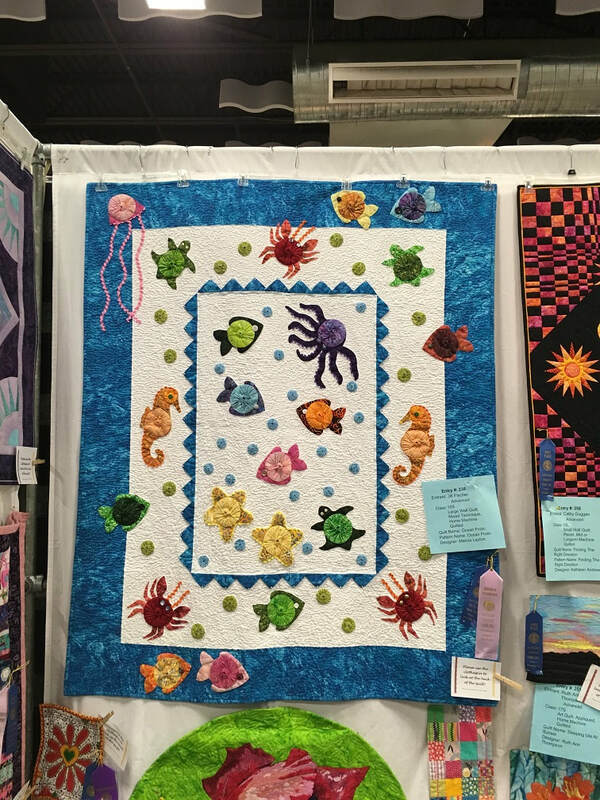 The theme for the show is “Just Piece it,” Look for a good many vendors, classes and tours. 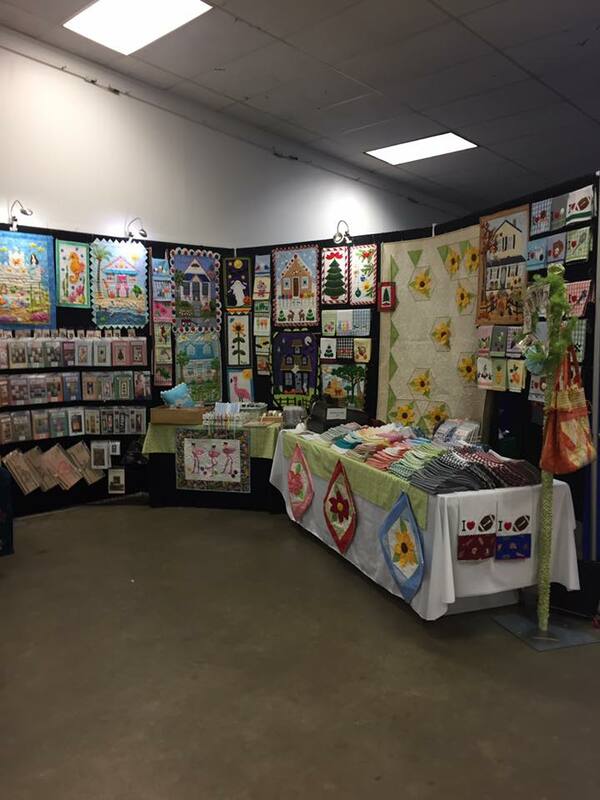 My booth is number 427. See you there! This spring I've had some time to work on new wall hangings. I love to create the little scenes. Working rick rack and yo-yos into the designs is a fun challenge for me. This time I added Swarovski crystals to the quilts. 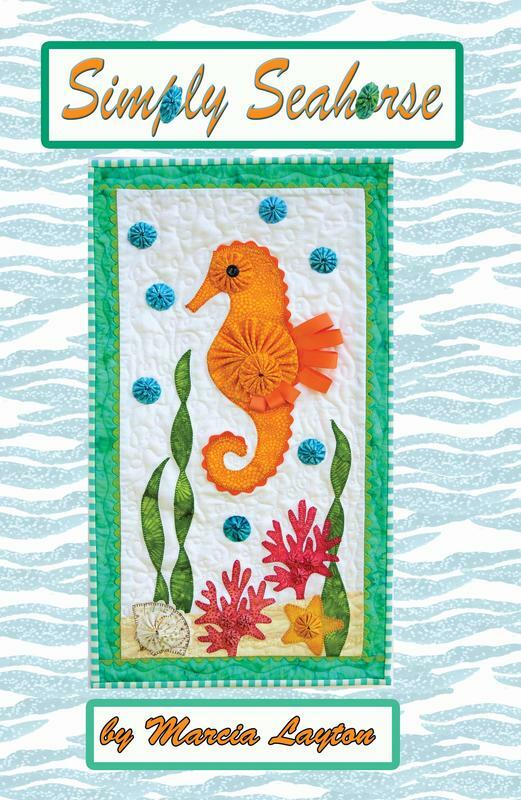 The mermaid quilt didn't have them initially but it is really sparkly now and I think they add to the the underwater fantasy. 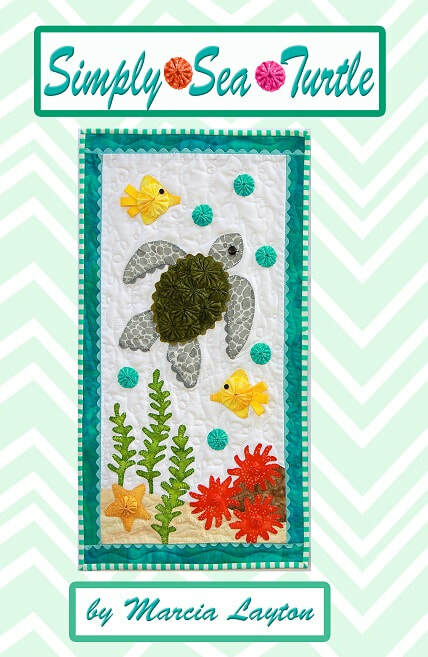 The pirate quilt naturally has a treasure chest full of gold and other jewel-tone crystals. 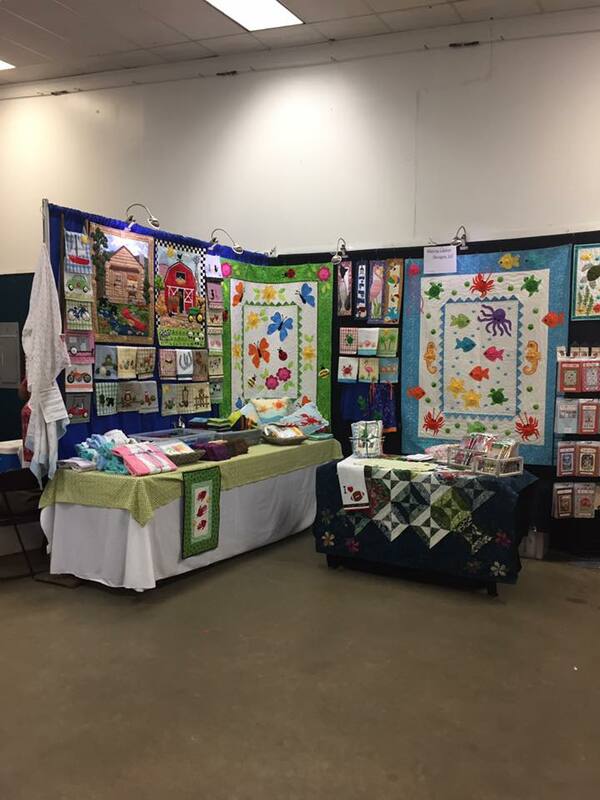 We are in Pensacola, Florida, FL, for the Pensacola Quilters Guild show being held Thursday and Friday, March 9 & 10, This is the biggest booth space that we have ever had! Having set up on Wednesday we headed out to explore the antique shops in the area. Finished the day dining on the water watching the sun go down. 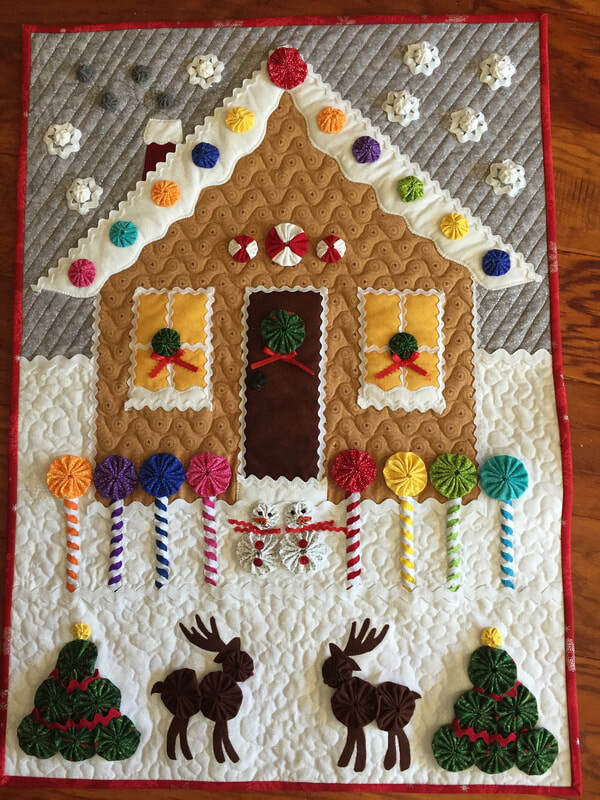 Michele Cassidy finished her quilted version of Lollipop Lane just in time for Christmas. I'm happy to share the photo of it that she shared with me. Love the way she quilted her house and the way she changed parts of the design to express her own creativity. She said it was fun to make. I think that's always the case when you take an idea and run with it. Lollipop Lane was my first yo-yo quilt and I'm still having fun making them! 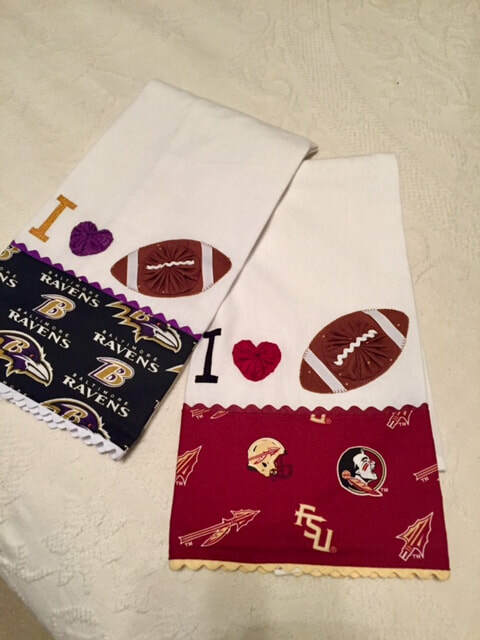 You can personalize your towels with fabric borders to support your favorite teams! 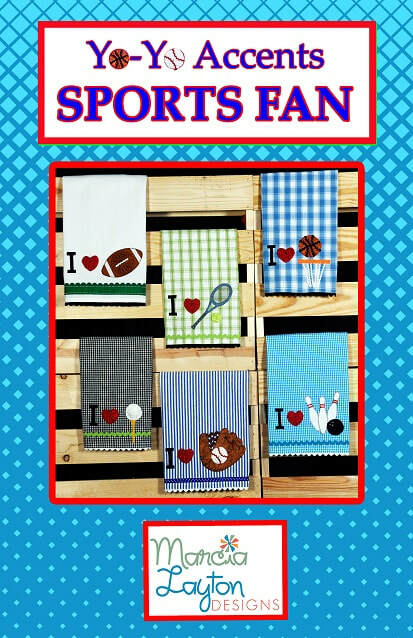 And for sports fans in the Yo-Yo Accents series. . . .